The Congo River, the deepest and one of the longest rivers in the world. Africa has a number of notable rivers that have survived ages till this moment with the Congo river as the most prominent in Central Africa flowing for as long as 3000km before discharging into the Atlantic mouth. The Congo River has existed for millions of years before its discovery by Diogo Cão, a foreign explorer in 1482; further expedition by David Livingstone and Henry Morton Stanley, revealed a lot more about the river. Everything about this river seems to be top class rating. Below are all there is to know about the “all-powerful” Congo river. Formerly known as the Zaire River, the Congo River is typically located at the boundary between Congo Kinshasa, the capital of the Democratic Republic of the Congo (DRC) and the Republic of Congo in west-central Africa. 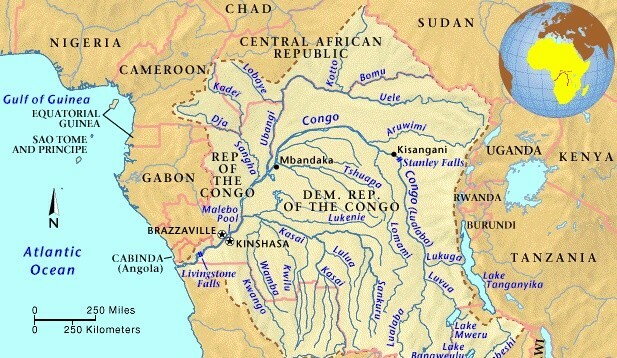 The Congo watercourse is believed to have been patterned into form in the course of say 1-2 million years. The river flows through Angola, Burundi, Cameroon, Central African Republic, Congo Republic, DRC, Gabon, Rwanda, Tanzania and Zambia, and has a meeting point with the Atlantic ocean. It has tons of islands and waterfalls and has been a major source of survival for millions of nearby Bantu dwellers in terms of food and water. The Congo river is over 750 feet (230 meters) deep and 4700km long with a basin of 4,014,500 km2. Covering about 13% of the total African landmass, the river has a width in a range of 0.5 to 10 miles (0.8-16 km) and it has gorgeous and efficient shipping routes with a stream feeder of over 9000 miles. The Congo River has initiated the existence of many waterfalls in Africa – the famous Inga falls and Livingstone falls not excluded. 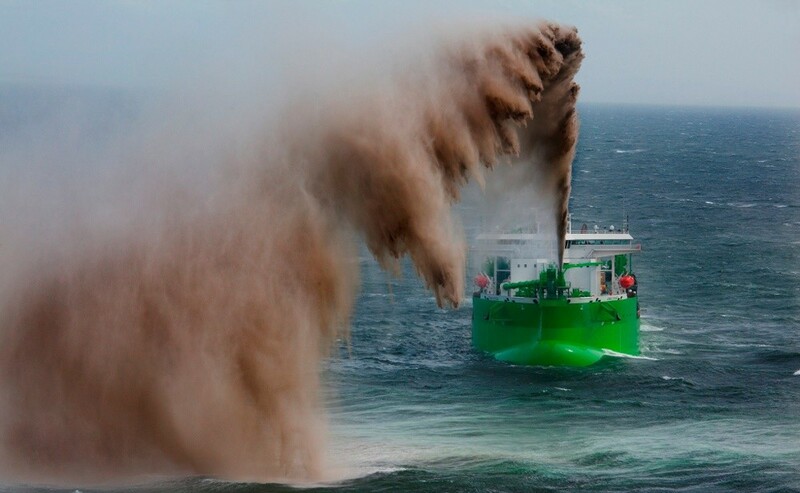 The “powerful” and magnificent piece of nature has an incredible 1,400,000 cubic feet of water flowing into the Atlantic per second and increases to 1,800,000 cubics during the rainy season. By discharge, the Congo river takes the 2nd spot after Amazon in the list of largest rivers in the world, with waterways that run throughout the Congo and surrounding nations. The Congo river definitely has a historical, economic and utilitarian value to both DRC and the other African nations. 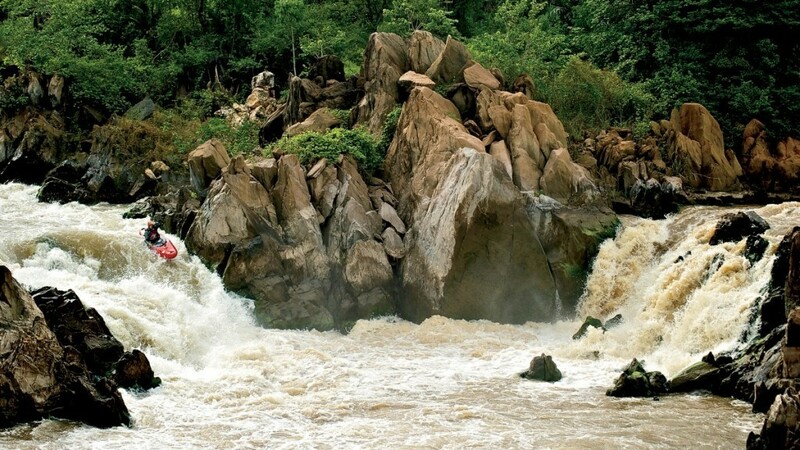 First, it is worthy to note that the Republic of Congo was once named after this historical river. As a protectorate, the Congo was formerly known as the State of Zaire – “Zaire” meaning river. By virtue of navigation, the shipping routes of the Congo River has sustained much of the trade in Central Africa since it made the trade and distribution of such cash crops as copper, palm oil, sugar, coffee, and cotton, a lot more easier and plausible. According to Wikipedia, the Congo river is well capable of powering entire Sub-Saharan Africa (if not the entire continent) and could, in fact, hold up 13% of global (hydro-power) electricity. The Inga Dams are clear proofs of the super hydro-electric power potential of the Congo river. The Grand Inga Dam (if constructed) is expected to be the world’s largest hydroelectric project – producing about 1000 TWh and 43.5 GW. Fishing in the Congo, Kinshasa to be precise is never forgotten in the list of things to do in DRC. Another famous Congo river activity is the Congo River Expedition; a swell time to experience the full potentials of the river, be it a full-blown tour of the entire watercourse or sight-seeing of the animals and the tropics itself. Kinshasa is the capital of DRC, literally found on the banks of the Congo river and still accommodating over 50% of rainforests in Africa. The river is a home to over 700 fish species and other queer sea animals 80% of which are found nowhere else in the world. Some of the dominant fishes in the river include the elephantfishes (Mormyridae), cichlids (Cichlidae), characins (Characidae), the Distichodontidae and many more. The Congo river is also surrounded by a wildland that covers about 500 million acres. The Congo Basin spans across six countries—Cameroon, Central African Republic, the Democratic Republic of the Congo, Republic of the Congo, Equatorial Guinea and Gabon. This rainforest is replete with highlands, mountains and a surrounding greenery – a beautiful green-walled canyon which favours the gorillas and chimps in the rainforests. Among the over 400 species of endangered wildlife taking advantage of the 10, 000 species of tropical plants in the region include forest elephants, chimpanzees, bonobos, and lowland and mountain gorillas. 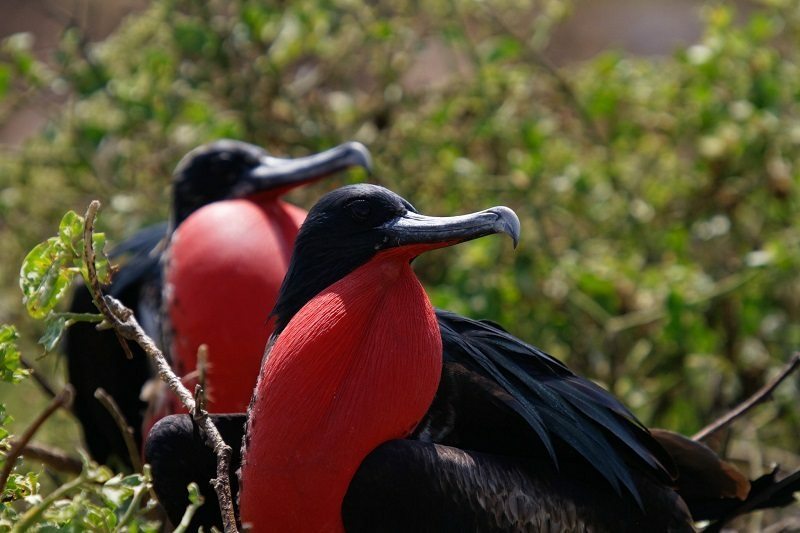 Added to this is the different species of birds including the storm petrels, Grebes, Frigatebirds, Pelicans and lots more. The most conspicuous problem with most of the renowned African rivers is pollution; basically from the exploration, exploitation and abuse of the natural wonders. It is general knowledge that the recent tour and industrial activities leave the river contaminated with chemicals and toxins that are not good for the river and for health as well. 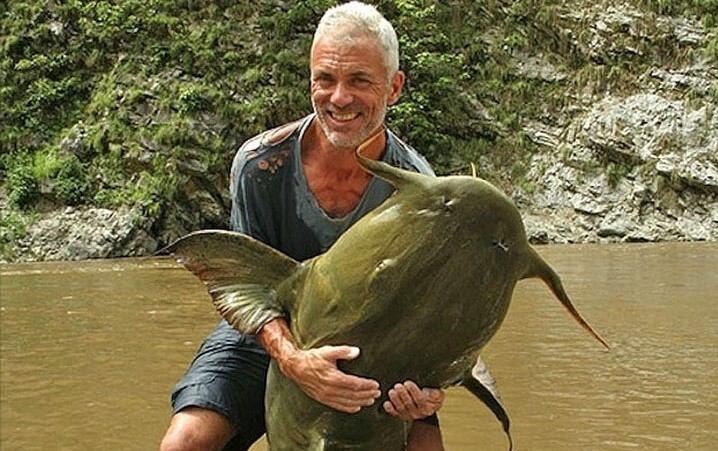 The construction of the dams, for instance, has indeed served the purpose of hydroelectricity but it is also feared that they are fiercely contributing to the extinction of some fish species in the river. 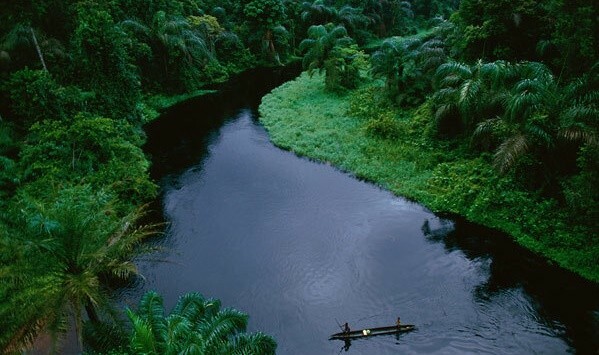 The Congo river is famous for being the deepest and the ninth longest river in the world by discharge. Congo River is the second longest in Africa, after the River Nile and has a discharge of 1, 500, 000 cubic feet. Diego Cao was the first European known to find and enter the Congo River. He first sighted the river in 1482. There are over 4000 islands around the river of which over 50 of them are 10 miles long. There are 10, 000 species of tropical plants, 1,000 species of birds, 700 species of fishes and over 400 kinds of mammals inhabiting the Congo basin. The Congo river gets its source from the highlands of north-east of Zambia as well as Lake Tanganyika and Lake Mweru. It flows into the Atlantic Ocean at Banane, within the Democratic Republic of Congo. There are about 40 hydroelectric plants on the Congo river that supplies electricity to many nearby countries in Central Africa. The river could even supply electricity to entire sub-Saharan Africa. The Congo River gets around 90 inches of rainfall annually. It has within its bank 30 waterfalls and a huge number of islands, at least 50 of which are more than 10 miles long.